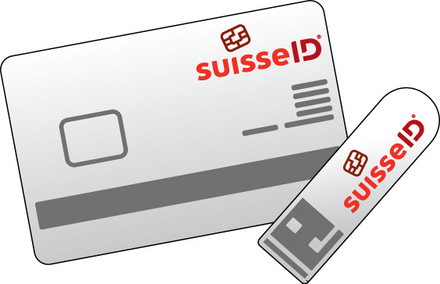 SuisseID is the first legally accepted, standardized, electronic identification hardware in Switzerland. Available since 2010 for any person living in Switzerland, it contains two X.509 certificates, one for authentication and one for qualified signatures. ‘Qualified’ in this regard means that is legally treated equally to a manual signature. This is especially interesting for signing contracts, emails and so forth. The authentication certificate (IAC) can be used to login to services which support certificate based logins, or in other words, have a SuisseID interface. For people working in Unix environments it would be cool to allow OpenSSH authentication based on the SuisseID authentication certificate. Public Key based authentication is nothing new, however, usually you deal with software keys that lie around on your hard disk, which is an insecure environment by definition. Ideally, your private key would never leave its locked-up secure environment. That is where an HSM (Hardware Security Module) like SuisseID comes into place. Let’s have a look on how simple it is to authenticate you against an OpenSSH server using SuisseID on an Ubuntu 12.04 client. The following examples assume you have a valid and properly initialized SuisseID, connected to your system, and also installed the required SuisseID software on your client. After you have installed the SuisseID software from your Certificate Issuer (Swiss Post or QuoVadis), a shared library will have been installed that we’ll need in order to make OpenSSH authentication happen. The basic principle of a SuisseID based authentication is the same as with any common software key: You need to configure your server for public key authentication and copy the public key of your key pair to the server and store it within the file ~/.ssh/authorized_keys. As soon as the above command has been invoked, the shared library accesses the SuisseID security device, asks for your PIN and retrieves the public keys, which can then be manually copied to the server as with any other public key. Now try logging into the machine, with:   "ssh 'puffy.csnc.ch'"
That’s all. Whenever you now want to ssh to your server and your SuisseID is connected to your computer, it will ask you for the PIN of the token and authenticates itself. No more passwords! As alternative windows client, what about Putty-CAC: http://www.risacher.org/putty-cac/ ? It supports smartcards through either Pkcs11 or MS CAPI. The downside is that its Pkcs11 implementation is buggy when configuring the token label however it works well with CAPI . What is not clear is which of the three public keys to use as public RSA key? Which one correspond to “SwissSign_dataEnc” (? ), “SwissSign_digSig” (Authentification), “SwissSign_nonRep” (Qualified Signature)? The first public key returned by ssh-keygen require two PINs?! “Enter PIN for ‘SuisseID’:” and are both working. It supports smart cards through MS CAPI.